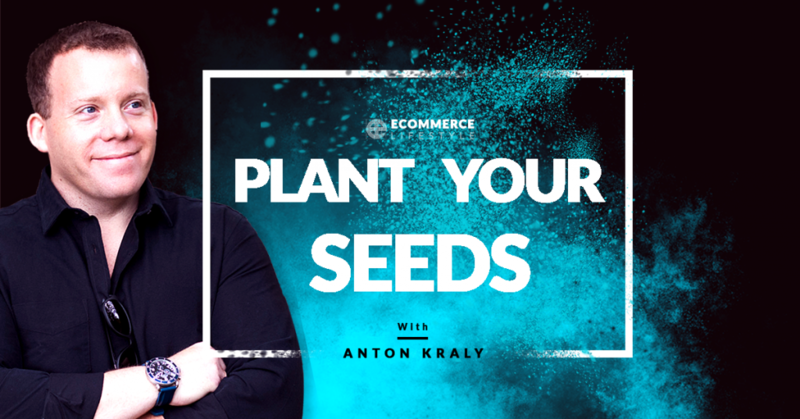 In this episode, Anton talks about the importance of building your seed audience. Regardless if you are new or you have had your brand for years, building your seed audience will increase your engagement audience. Create variances to see what will get your audience to respond. Anton created a meme that got insane engagement compared to another post that included a picture of him. Setup Facebook ads for what you assume is your ideal audience. This ideal audience becomes your Seed Audience. The people who are commenting, sharing and engaging in your post is your Engagement Audience. Grow this as much as possible. The Engagement Audience is more likely to buy what you will sell. With those two setup, setup ads that target your Lookalike Audience. This will be people that are similar to your Seed and Engagement Audience and are engaging and following similar things to you. Once you target the Lookalike Audience, they can become your Seed Audience which, in turn, can become your Engagement Audience. Hey, good morning everybody. Anton here, and in addition to the normally subpar audio quality you normally have to deal with on this podcast, today it is also pouring outside as I drive into the office on a, what is it, Monday at 8:20 a.m. So hopefully, the phone doesn't pick up too much of that sound. It's super loud. It says, right now my car says it's 48 degrees outside. And for Austin, I think yesterday, it was like 92, in Texas, where I am. So from 92 to 48 in like 12 hours. So insanity, but I actually enjoy it. It feels good to be a little bit could out here and change up the weather for once. So yeah, with that being said, what I wanted to talk about real quick on the eCommerce Lifestyle Podcast here, as I drive in, is all about seed audiences, and planting your seed. Now this is something that's relevant and something that's on my mind because it's something that I'm doing for one of our new physical product brands. And like I would say for the better part of probably the past decade, this is something that we do every time we launch a new brand, whether that be info publishing or physical products. But every time we do it, I'm involved, but I'm not actually doing it because, as your business grows, as you start to make more and more money, as you start to reach more and more segments of people, as you start to do different types of advertising, you bring on other people, right. Because, obviously, no one could do it all. And if you're still doing the same things you were five years ago, chances are, you're not growing. So basically, the point is, like a lot of the stuff that we're doing right now for our new brand is stuff that I haven't been a part of because I have team members that do it for me. So this time, it's different because I released a New Workshop, is what I'm calling it, maybe three weeks ago. It's about building your brand, and it's something that I am showing people how to do. But what I thought would be cool, is instead of just showing them how to do it by like kind of giving them examples of, "Okay, here's a good example of this. Here's a good example of that." I thought, why don't I just show them how I actually do it for a new physical product brand? But instead of having my team do it and showing them, "Hey, here's how my team does it, I thought, let me just do this one, right." Let me get my hands dirty again. Let me see if I still know how to actually like where to click, and what to do instead of just basically having it handed off to a team member. So that is exactly what I've been doing, and the way that it's worked so far, is week one, is we did all of our Facebook stuff. Week two is all of our Instagram, then we're doing Pinterest, and Twitter, and YouTube. But for Facebook, we started this week with our seed audiences. Now whenever we launch a new brand, again regardless if it's me doing it, or someone on my team, step one is always to build our seed audience. Okay, and this is something that I would recommend everybody does, whether or not you already have an established brand, or you're thinking of starting one, it doesn't matter. Like if you haven't done this yet, you should still just do it now, again, regardless of how long you've been in business if you've never done it. Now the seed audience is basically a group of people that we're trying to get to engage with our stuff. Okay, so not people we're trying to get to be customers just yet, but people that we're trying to get to basically say like, "Hey, I'm interested in this thing." Or just, "Hey, I'm engaging with you." People that were starting from like a base level, a foundational level, to attract to our stuff, to our thing. So the way that we did it with Facebook right now and the way that we typically do it, is to start, we create a few different variants of what we think our customer avatar would be interested in. So, excuse me. So for this project for our new brand, I wanted to go with two different options to see how the audience responded. Now one of them is actually a photo of me, using the thing that we're going to be selling with our new brand. And the other one is a meme that, again, I made myself, for the first time in like five years in Canva. But it's a meme. Like you know that Drake meme, when he likes something, then he doesn't like something. So basically, those things that he likes and he doesn't like are things that I thought my avatar would like and wouldn't like. And what's cool is, I started this experiment on, what day was it? On Friday, we started ads going to each of them, going for engagement on Facebook. And what's funny, is like when I was showing people in the workshop how I was doing this, people were like, "Oh, Anton. Do you have this photo with you with a thing? Like people are definitely going to respond better because it's a person." Like they thought like I had some kind of whatever you want to call it, like insider advantage because I had a photo of me. And a lot of people don't want to use themselves in their branding. And what's funny, is the one that has nothing to do with me, the one that's just the meme, is absolutely destroying the one of me. And like engagement is so much cheaper, comments, shares, like everything is just, it's a fraction of what I'm spending for the one with me. So it just goes to show, that like, don't worry, if you don't want to be the face of your brand, you don't want to be out there, and you want to just go for engagement to start building your seed, yeah, you're fine. So with that being said, the reason that we build this audience and the reason we're trying to get engagement is so we can create the seed. Now the way it starts, right, is you create your thing that you want to show to people that you think would be interested in your thing. Then you go on Facebook and you set up ads. So basically, you're promoting your piece of content to who you assume is your ideal person, right. Are they male? Are they female? What age range are they? What interest do they have? And you show this thing to them. Now what you're doing after that is creating a custom audience on Facebook. And in Facebook, you can create custom audiences based off all different things. You could upload a list of customer email addresses, you can create a custom audience of people that have visited your website. But what we are doing, which I recommend you do, as well, is you can create a custom audience off people that engaged with your stuff. So our seed audience, again, starts with people that we think are interested. Then our engagement audience, what we build, are people that actually engage with our things. So if you're thinking of this, and I wish I had like a pen and paper right now so I could draw it out for you. But just try to envision this, right. At the top level, the highest top of the funnel, are the people that you think that are interested in you. The second level is your custom engagement audience. Those are the people that actually raised their hand and engaged with your stuff. So again, liked, comment, or shared. Then after that, you're building even more audiences. And the next one becomes your look alike audiences. And what you do with your look alike audiences is you tell Facebook, "Hey, go out there and find the top one percent of people on Facebook that are like the people that engaged with my thing," okay. And then, with that audience, you then show them that thing. Now at this point, okay, when you do this right, you have three different audiences. You have your seed audience that's filling up your engagement audience because when people get engaged with your stuff, they go into the engagement. Then you have your look alike audience, which is also feeding your engagement audience. And the goal, is to get that engagement audience as big as possible. What you want at the end of the day, your long-term goal, should be your engagement audience is every single person that is possibly going to be interested in what it is you have to sell, what you have to offer. Because why we do this, right, the point of basically spending money and putting in the work to get people just to engage not to buy, is because then, when we do have our offers, when we do have lead generation campaigns, when we do want to sell stuff, we're showing that stuff for sale to those people that have engaged with our thing or our things. So if you're thinking like, "Well, I don't want to invest a bunch of money in building these audiences. What's the point?" The point is, I mean, it's worth it, first of all because those audiences, that engagement audience, is going to be so much more likely to buy when you make an offer because they already know your brands, they already engage with your stuff. But not only that, like sometimes people think like, "Oh, this is going to be crazy expensive and I have to invest all this money." The truth is, not at all. The campaigns that I launched on Friday has a $5 a day budget, and one our top performing ones right now, has like, something like a 100 shares. Like people just like getting it to go viral, basically, in its community, for the type of people we want. And I think I've spent like, I don't even know. It's not even spending the full budget. Something like nine bucks so far. So it's not expensive, it works, it's well-worth doing. If this is something you're interested in and you want me to like dive deeper and kind of show you some behind the scenes, go to ecommercelifestyle.com, and then just click on episodes. So ecommercelifestyle.com, click on episodes. I think I'm going to call this one like planting your seed or something. Planting your seeds. So look for that, then leave a comment, and let me know if you want to hear more. I could definitely expand a little bit further. But I just wanted to share this because so many times, people think, with Facebook ads like, "I'm going to go on there. I'm going to do some direct response-type ad, where I'm going to put a product in front of the people that might be interested in this thing, and I'm going to hope that they buy." And while sometimes you can get away with that, it's becoming more and more difficult, as Facebook ad costs rise, as there's more and more competition. So if you want to do things the right way, you want to build a brand, you want to have a relationship with your customers, you want to have some goodwill before they pull the trigger and buy from you, then I highly recommend planting your seed now, your seed audience, build your engagement audience, and then build your look alike audience that's going to make your seed bigger and bigger. And I'm just going to say it now. I've been talking about this for I think like 10 minutes. And if people are like, "Anton, I still have no idea what you're talking about." If this is like over your head at this point, you've never done anything like it, my advice would be to, obviously, go to ecommercelifestyle.com. Let me know on the episode. And again, I could dive deeper. But of course, I also have this workshop that I could help you out with if you're interested. So reach out, let me know. If not, I'll probably be back in the next couple days, making another episode over here, recording another one. But yeah, it's going to be a crazy week because one week from today, next Monday, I start my 30 hour flight journey out to Bali for the Drop Ship Lifestyle Retreat. So yeah, going to be putting some finishing touches on my presentations for that. And yeah, now I'm all ready. Now my car says it's 45 degrees outside. So ready to switch it up again, get to the sun, have some fun with a 100 other awesome Drop Ship Lifestyle members. So yeah, thanks for listening, everybody. Again, any questions, let me know, and I'll talk to you all in the next episode of eCommerce Lifestyle. Thank you, everybody. Have you already created these audiences in your Facebook account? Is this applicable to starting up an audience list in Google Ads too? Definitely! With Google, we mainly do this by remarketing to our organic YouTube views. Anton, I am a member of DSL where do I find the workshop? The workshop is from a webinar I hosted about a month ago called “Build Your Brand”. It was the webinar where I also announced my newest physical product brand. There’s no way to access it now, but I will be talking more about it at our retreat in Bali next week. Since you are a member of Drop Ship Lifestyle, you will get access to the recording in late October. This is great info! Please do dive deeper into this! Maybe a bit more on how you create your first post, i.e., some examples to brainstorm for different products! Thanks! Love your podcast!